Scots translation by Dr Michael Dempster. Lettering by Lisa Scott. 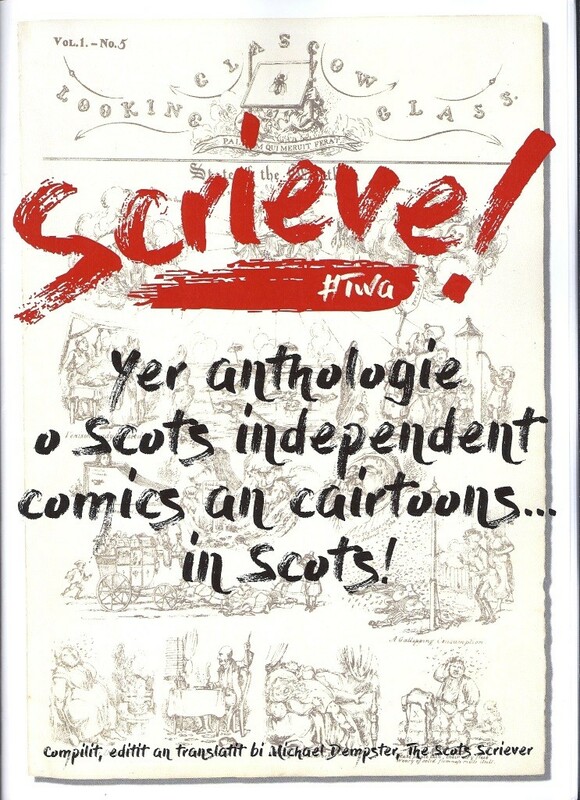 My comic, Who ever loved that loved not at first sight can now be read in Scots in Scrieve!, thanks to Gill Hatcher and TGC in Scotland who made the connections. 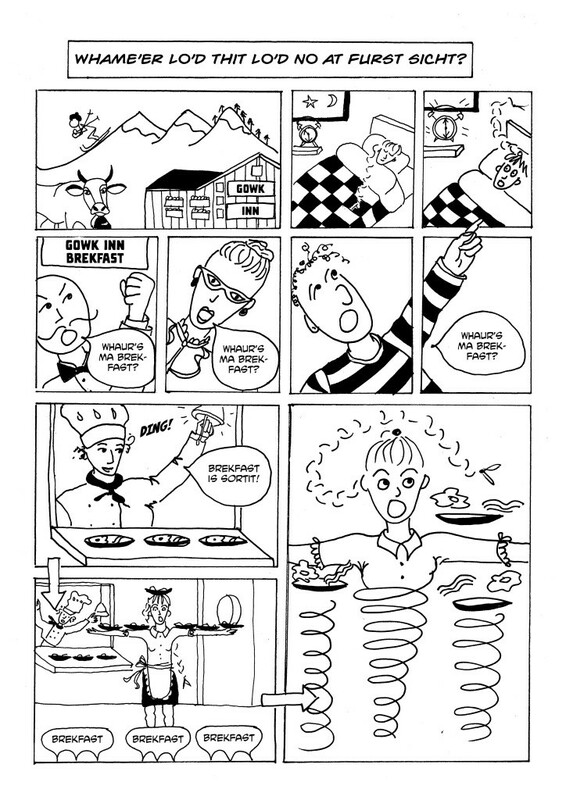 The comic was translated into Scots by Dr Michael Dempster who was named Scots Scriever in June 2018 and will have a two-year residency at the National Library of Scotland. 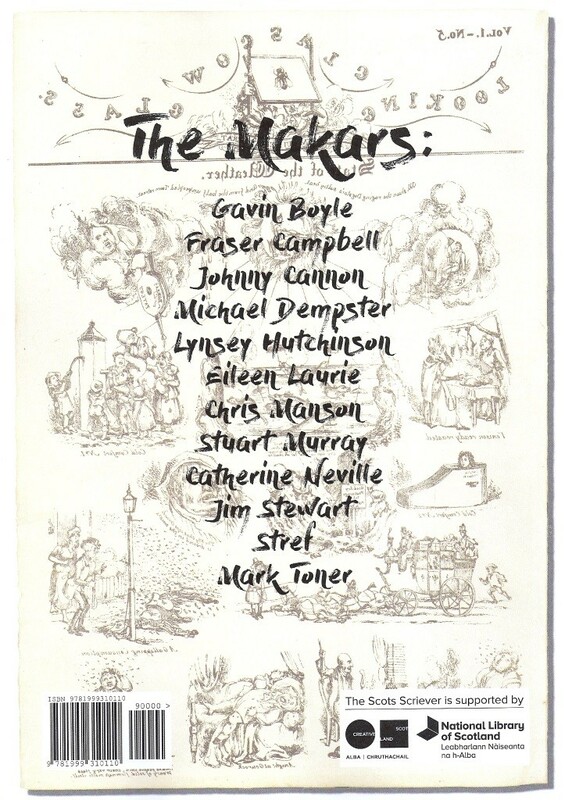 The Scots Scriever will “produce original creative work in Scots, its variants and dialects, across any art-form, as well as raising awareness, appreciation and use of Scots across the country and amongst all parts of the population”.